Tilia is the first on-staff conservation dog in the State of Wisconsin. She sniffs out salamanders, wild parsnip, and more! 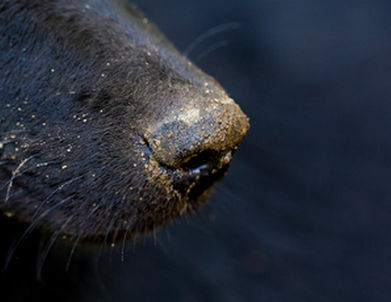 For years scientists have tried to replicate the power and efficiency of the canine nose. The results keep coming back the same: The canine nose is second to none. Coupled with an insatiable desire to work and serve, Tilia helps us find things humans often can’t! 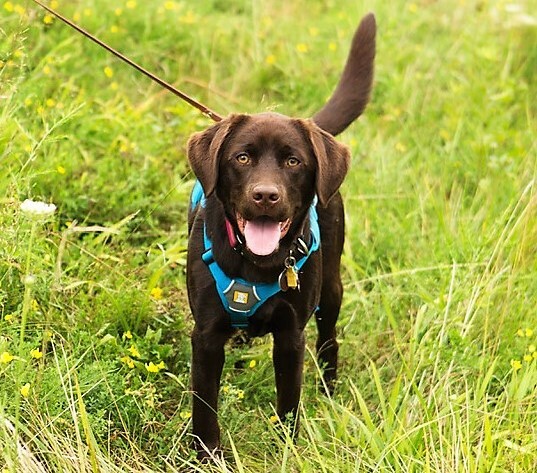 Tilia is a chocolate, English field labrador. She is a member of MNP’s staff and works hard to do her part. She assists us in monitoring animal species and eradicating invasive plants. Tilia’s work is on the cutting edge of conservation science! Since late 2016 Tilia has worked inside and in the field to distinguish “target scents” from everything else around her. Trainers hide target scents in containers, under logs, among flowers… and when she comes upon a target scent she alerts her handler and she gets a treat! Training goes on multiple times a week for an hour at a time. Over time she might learn over 20 target scents! 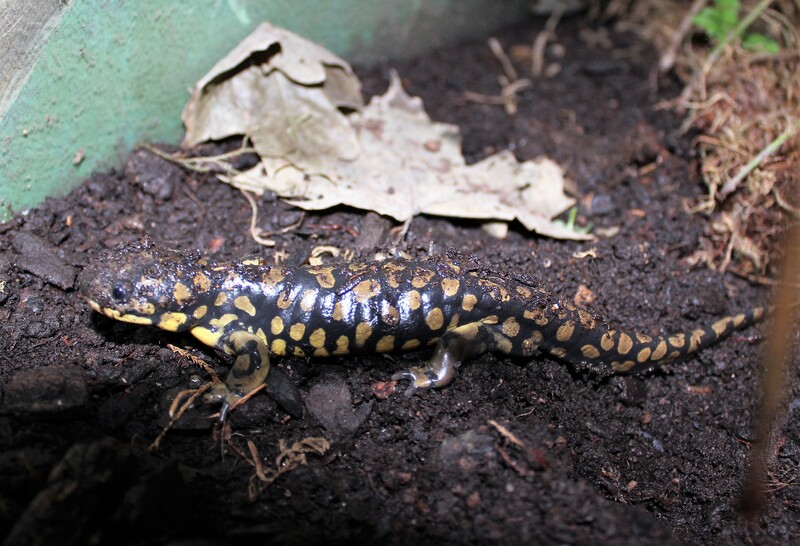 In 2012 MNP undertook a project to re-establish salamanders in Harvey’s Woods. We know the salamanders are there… but where? In comes Tilia with her super-powered sniffer! She combs the forest floor to find these secretive animals for us! Help Tilia’s program continue to grow at www.gofundme.com/penniesforthepup. Want to learn more about scent canines? The program that brought Tilia to MNP spurred the creation of the non-profit organization Midwest Conservation Dogs. This group is the first of its kind in Wisconsin and only one of a few in the United States. 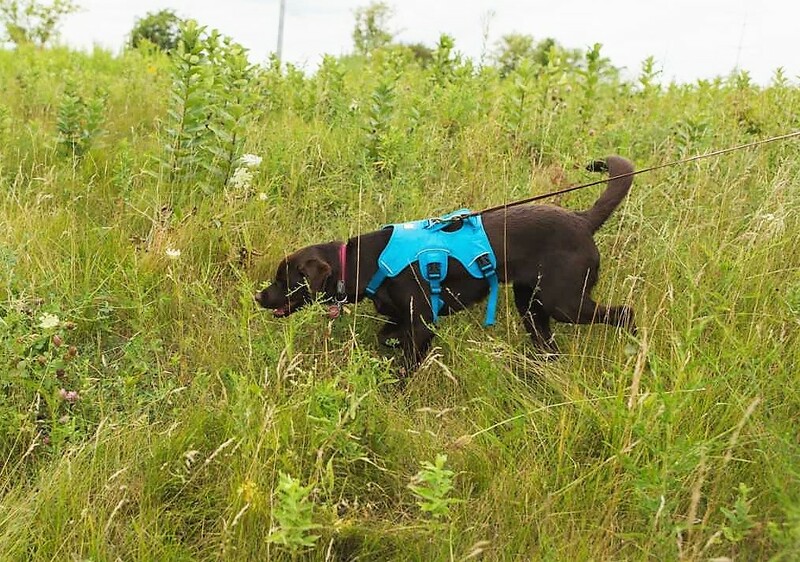 Tilia’s success is largely due to the expert trainers from Midwest Conservation Dogs. If you want to learn more about the science behind canine scent work or you could hire a scent dog, check out their website below! 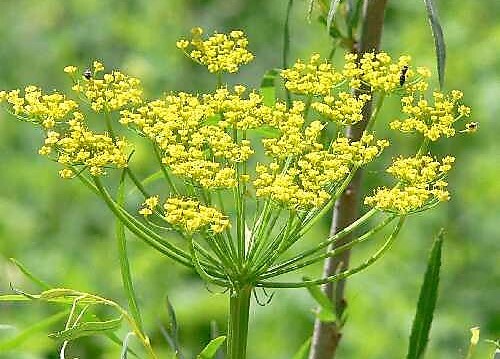 Wild parsnip is an aggressive, non-native invasive plant that can cause second degree burns on anyone who touches it. Locating and eradicating this plant before it establishes at a site is key to the safety of staff and visitors. Human detection is difficult because wild parsnip grows low to the ground before it flowers. Tilia hunts down these tiny plants before they can spread!